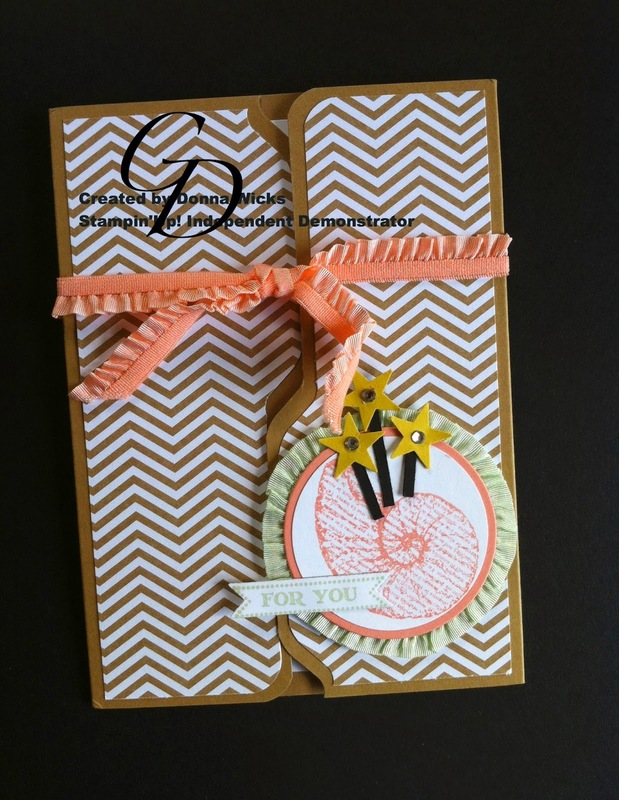 This beautiful card was my inspiration when I started making these type of File Folder cards. I actually got this on the mail for my birthday from my sweet CD (Creative Donna). Hence the different watermark, I made it just for her. 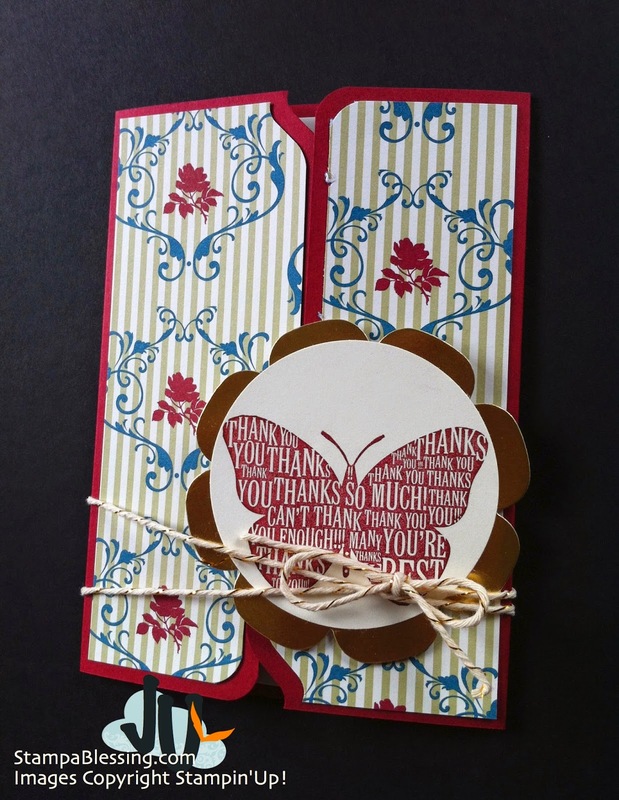 I am so thankful for friends who love me and also enjoy stamping too! 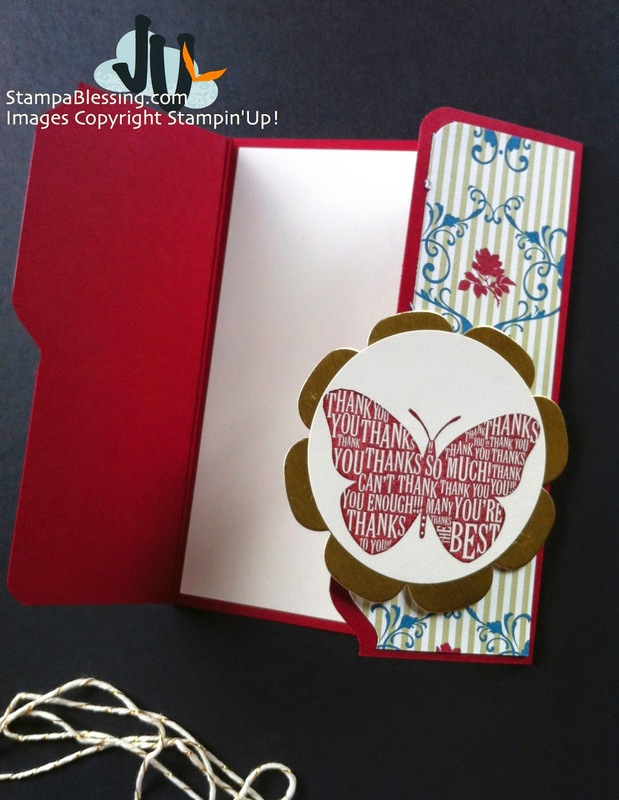 You can definitely find more of Donna's exquisite collection on StampinConnection if you are already part of my Stand Out Stampers or on Splitcoastampers here! Well Worded Stamp Set and Gold Foil Sheets. 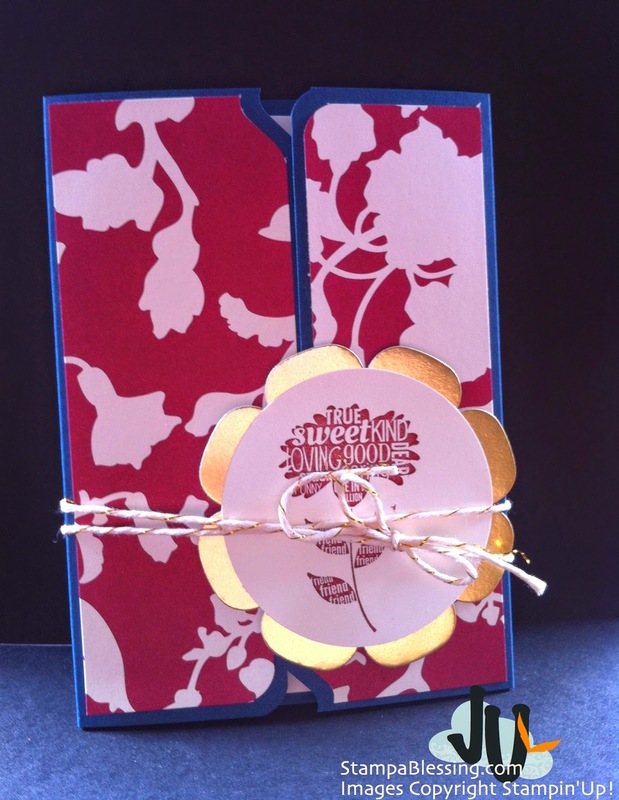 The back flower is from the Floral Frames framelits. Now on discount or even FREE as a bundle when you get a new Big Shot. Check it! Gotta love the Gold Baker's Twine. :) That butterfly is stamped on Cherry Cobbler. 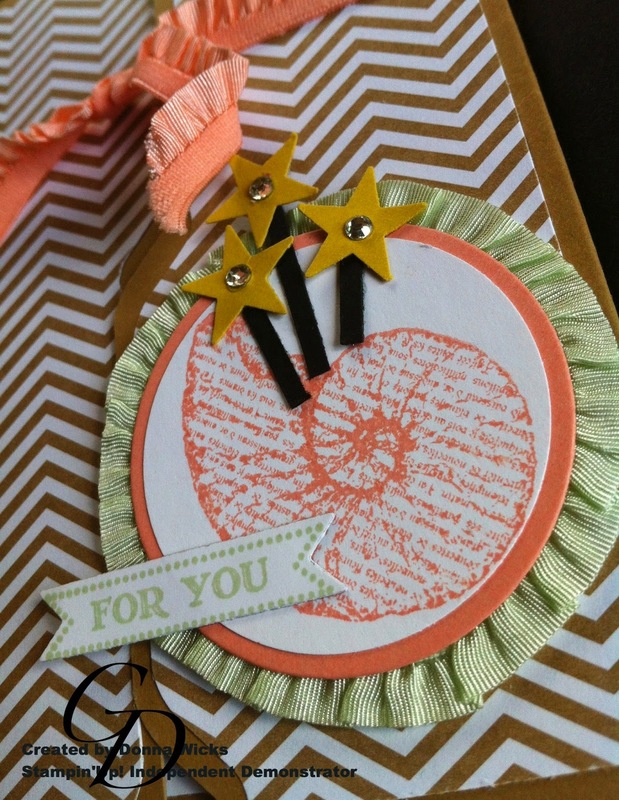 I made a fun tutorial and sent to all My Paper Pumpkin subscribers and current customers. If you by any chance did not get it send me a quick message. I LOVE making this for you. Try it, is such a fun card! Thanks dear Donna for being always an inspiration. I'm sure I surprised you today with my post. You little stinker you!!! What fun and such an honor to not only be showcased here on your blog, but to have also linked to my galleries! You are such a dear and special friend, I really love you! I am pleasantly stunned to think you have also created a unique watermark "just for me!" Wow! That is So Awesome (I don't know the first thing about this computer stuff)!!!!! Such fun! I am humbled and honored and thrilled that you liked my birthday card just for you! It is no surprise that you reach out and share with all and give back.... Thank you for being a friend!